THURSDAY, Dec. 24, 2015 (HealthDay News) -- People known to be at high risk for a heart attack or stroke should be given blood pressure-lowering medications no matter their blood pressure level, new research suggests. Current protocols recommend starting medication when readings reach specific levels. The threshold used to be 130/85 mm Hg. But it was recently shifted to 140/90 mm Hg for non-elderly individuals, and 150/90 for the elderly. The newest and latest call for a new treatment regimen follows a review of 123 studies conducted between 1966 and 2015 that, in total, involved more than 600,000 people. The new report was published in the Dec. 23 issue of The Lancet. "Our findings clearly show that treating blood pressure to a lower level than currently recommended could greatly reduce the incidence of cardiovascular disease and potentially save millions of lives if the treatment was widely implemented," lead author Kazem Rahimi said in a journal news release. Rahimi is deputy director of The George Institute for Global Health at the University of Oxford in England. At issue are patients with a history of heart disease or heart failure, kidney disease and/or diabetes. These patients are considered at "high risk" for heart attack or stroke. The overall finding of the new study: For every 10 mm Hg drop in systolic blood pressure achieved through medication, heart disease risk dropped by as much as one-fifth. This was true regardless of the patients' blood pressure when treatment began, even if it was below 130/85. The systolic number, the top number in a blood pressure reading, measures pressure in the arteries when the heart beats; the diastolic number, the bottom number, measures pressure between heartbeats. "The results provide strong support for reducing systolic blood pressure to less than 130 mm Hg, and blood pressure-lowering drugs should be offered to all patients at high risk of having a heart attack or stroke, whatever their reason for being at risk," Rahimi said. 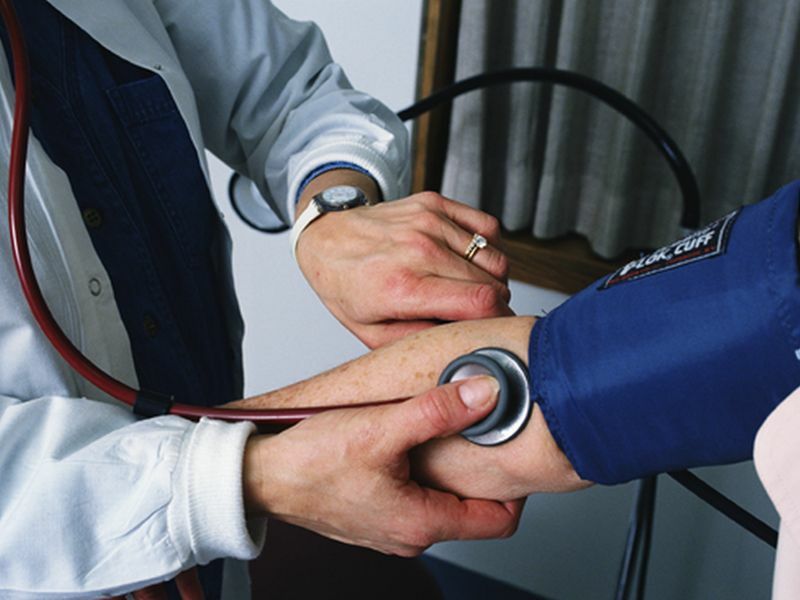 More than 1 billion people worldwide have high blood pressure, a condition that claims 9.4 million lives a year, the study authors pointed out in the news release.